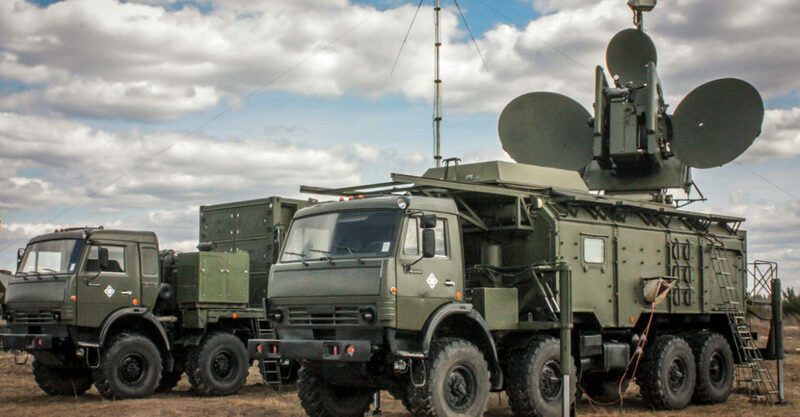 DEBKA Exclusive: The Russian Krasukha-4 mobile electronic warfare system, which can neutralize spy satellites and ground-and airborne radars and damage enemy EW, landed in Syria on Tuesday, Sept. 25. It was unloaded at the Russian Khmeimim Air Base near Latakia, one day after Russian Defense Minister Gen. Sergei Shoigu pledged systems for jamming satellite navigation and the on-board radars and communication systems of combat aircraft attacking Syria, in punishment for Israel’s alleged role in downing the Russian IL-20 spy plane. The Krasukha-4 is highly advanced, although not the most sophisticated EW system in the Russian arsenal. But it fits Shoigu’s book. The system can jam communications systems, disable guided missiles and aircraft, and neutralize Low-Earth Orbit spy satellites and radars (AWACS) at ranges of 150-300km, which cover northern and central Israel. The Krasukha-4 can also damage opposing EW. Israel’s military has focused its response to Russia’s hostile measures on the eight S-300 aid defense batteries promised the Syrian army in the coming weeks. Little mention has been made by Israeli spokesmen of the electronic warfare duel awaiting the IDF with Russia. Israel’s military and air force know about the Krasukha-4 but have never met it in action. However, it is well known to the Americans. Prime Minister Binyamin Netanyahu is expected to ask Donald Trump when they meet at UN Center on Wednesday to offer Vladimir Putin some incentive for removing the EW jamming threat. There is scarcely any chance of any such a trade-off. Our sources believe that Putin will hold out for nothing less than the withdrawal of US troops from Syria, to which President Trump will not agree. The coming DEBKA Weekly 818 out on Friday, Sept. 8 will discuss in depth the issues which have sprung up between Russia and Israel, how they came about and the prospects of a solution. Don’t miss this special issue. Sign on here for your subscription.